Oh! Ariel the Little Mermaid! Isn't it neat? She's beautiful and colorful and this under the sea adventure is perfect for a a birthday party! This was the theme for my eldest daughter's 1st birthday and I had a blast making all the decorations, centerpieces, party favors and even a Little Mermaid backdrop (20 years ago!). Fast forward to today and you'll find beautiful Little Mermaid party ideas and printables on this page to make your Little Mermaid party a memorable one! 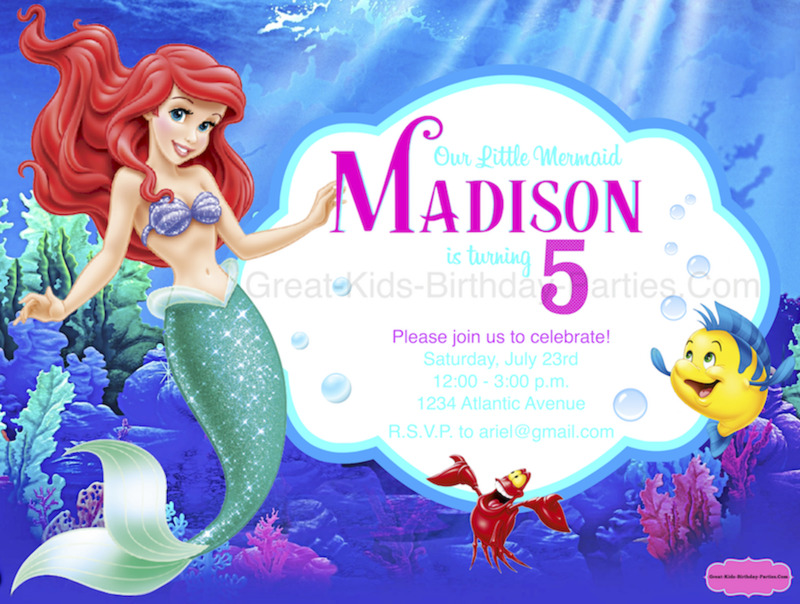 Make your party collection complete with our Little Mermaid invitation template and free font. 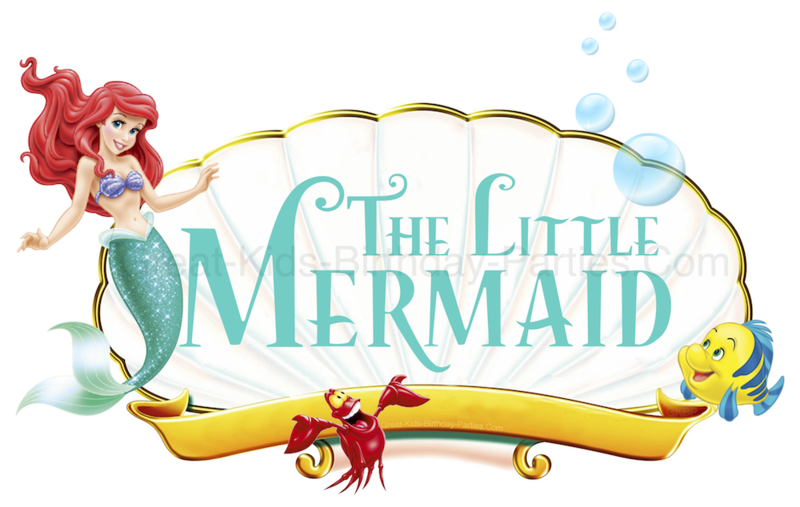 Visit our Little Mermaid Font page to download your invitation and font. Don't need the entire font? just want the name? There's a super quick way to do it, learn how easy it is on our Little Mermaid Font page. Ooh! Isn't it beautiful? Grab this free font for your birthday party printables. Look how pretty it looks! Visit our Free Disney Fonts page to download. This font is perfect for invitations, cupcake toppers, food tents, water bottle labels, birthday banners, photo booth props, party signs and so much more! 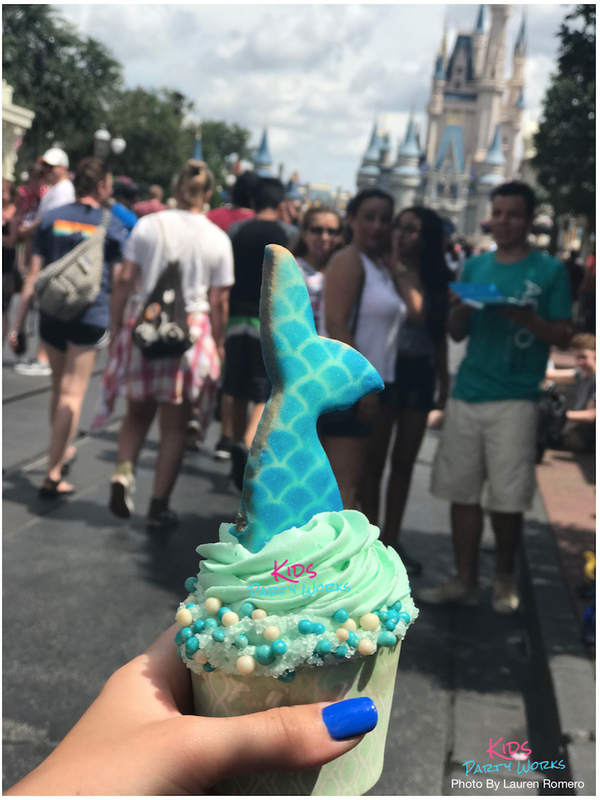 My daughter is celebrating her 19th birthday at Magic Kingdom today, and she just sent me this picture of a beautiful Little Mermaid cupcake (only sold at Magic Kingdom)! I just had to share it with you so you could see how beautiful it is and hopefully spark some fun ideas for your birthday cupcakes. Isn't it just perfect? 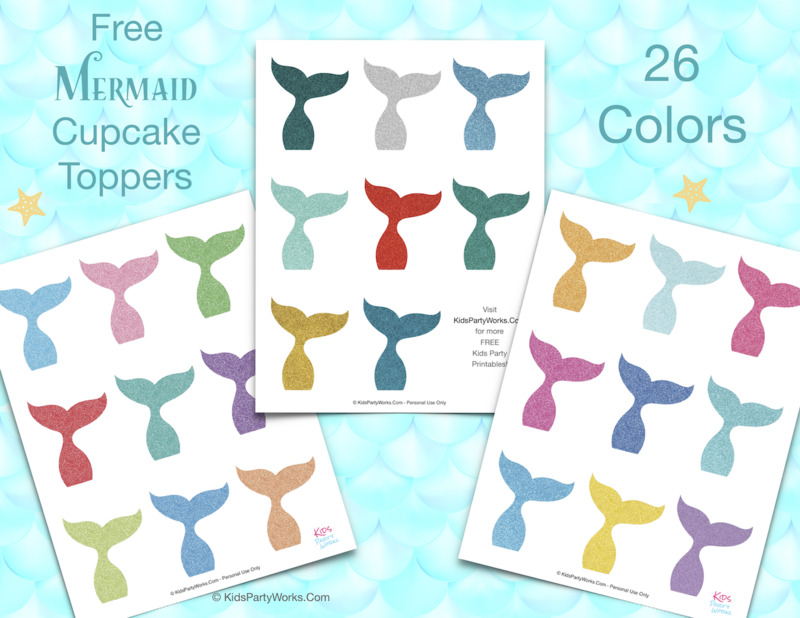 I was inspired by the picture my daughter sent me (up above) from Disney's Magic Kingdom to make these glittery free printable Mermaid Tails. Then I thought about all the possible color schemes so I made the mermaid tails in 26 glittery colors. 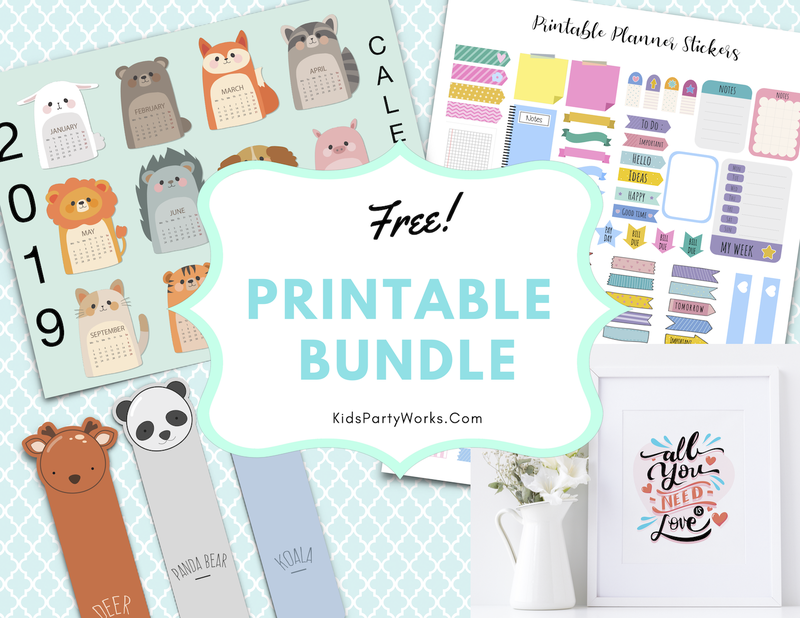 Our goal is to bring you fun & free party printables for your celebration. 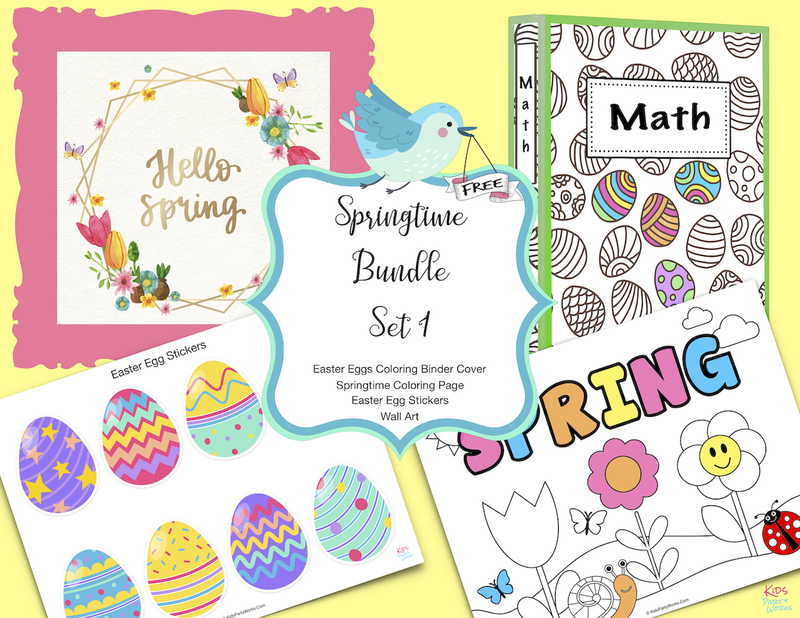 Whether it's a birthday party, sleepover or school events, we want to help you stay on budget and offer printables that are easy to use. We are forever multi-tasking, and these mermaid toppers are a fast an easy way to turn any cupcake into a mermaid cupcake in minutes. This variety of colors works for different color theme ideas (see picture below) like a pink & purple Mermaid Party, an Under the Sea Party (blues/greens) and of course, a Little Mermaid Party (reds/greens/purples). Imagine your dessert table with these beautiful mermaid cupcake toppers! 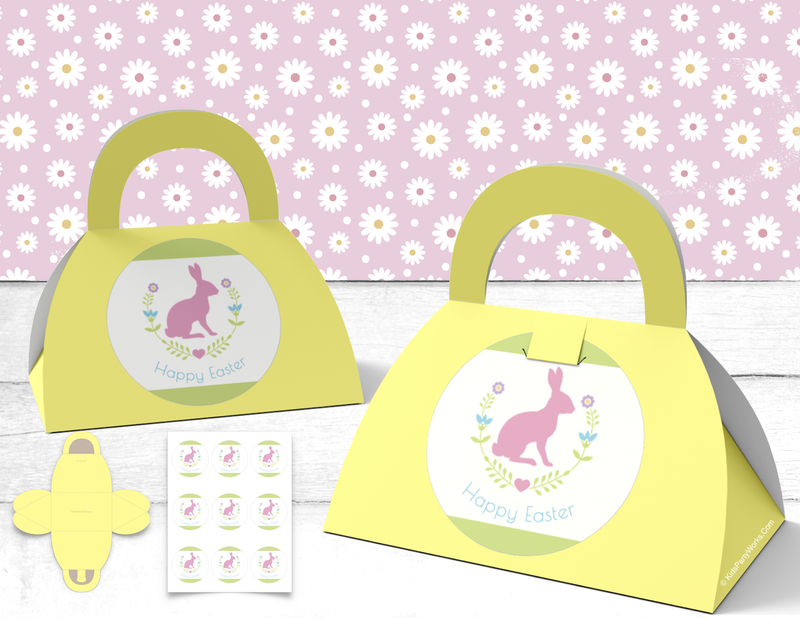 Your little guests will love them! 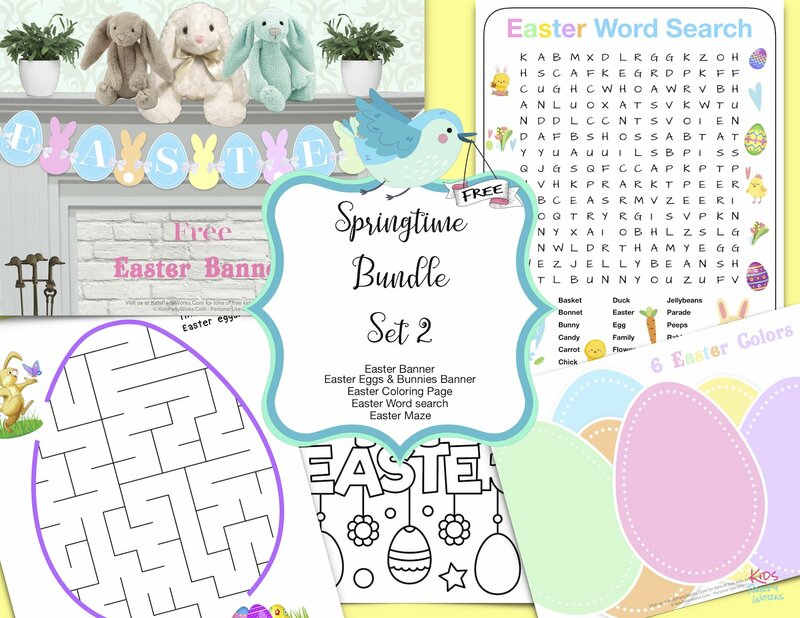 Click on link below to download your free printable. Here's a closer look at all 26 colors. There's plenty to choose from to make your own color scheme. 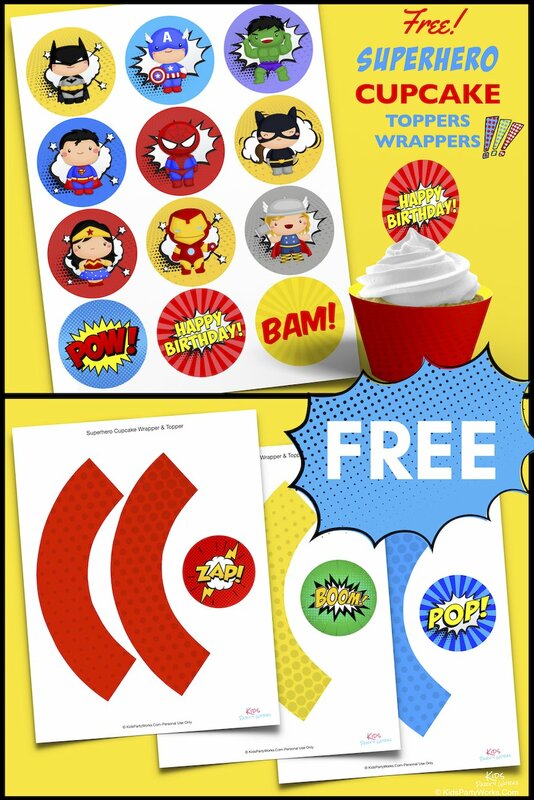 Download your free cupcake toppers here. 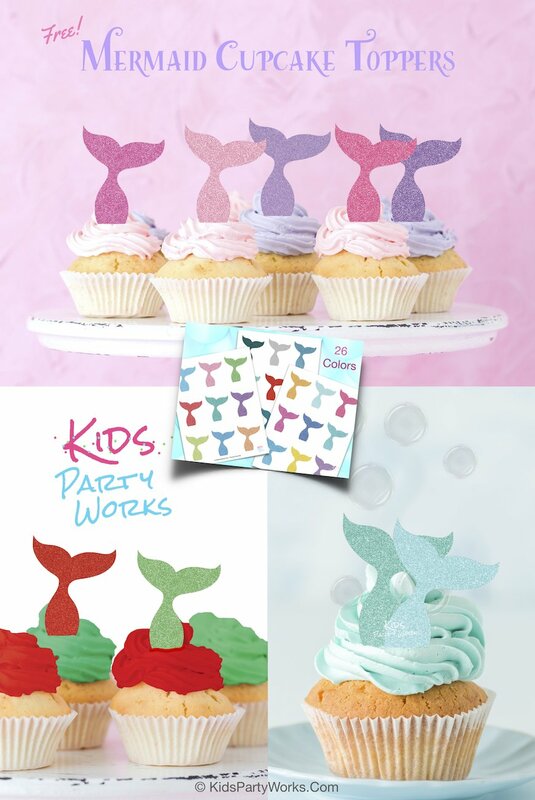 Have fun planning your Mermaid party, hope it'a a splash! Oh this craft video from Disney is SO pretty! And so much fun!! I could really spend all day doing this! This Little Mermaid craft is great way to spend an afternoon with a friend making these frames. And the colors....beautiful! They show you everything you need to make this project. The only thing they don't say is the colors used but that's pretty easy to see through the paint bottles. They also show you step-by-step how to make it. You might want to substitute the hot glue with a safe alternative for little ones. Have fun making yours! Oh you guys!!!! I was not even looking for this but look what I found!! 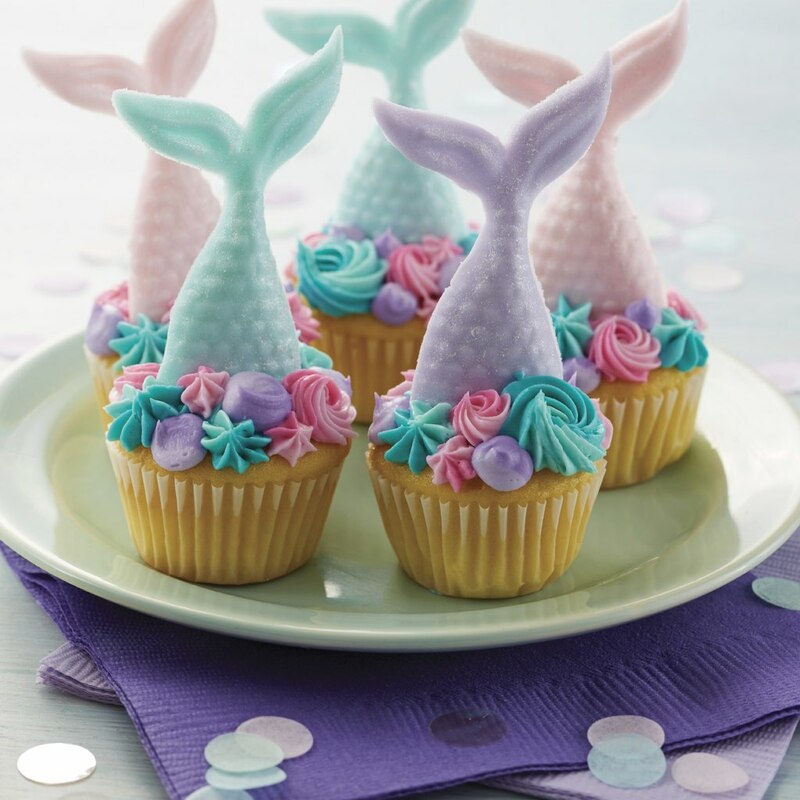 These mermaid tail cupcakes from Michaels and they are gorgeous! This picture (from Michaels) shows all the beautiful detail and the best part is they give you the supply list AND the instructions on how to make these oh-so-pretty mermaid cupcakes. So if you want to make these beauties, hop on over to Michaels where you will find everything you need. Have fun! Absolutely love, love, love this Little Mermaid cake, cupcake and smash cake idea. This beautiful creation is from Sarah's Bake Studio and it's homemade! I just adore how she made a cake, cupcakes and a coordinating smash cake. 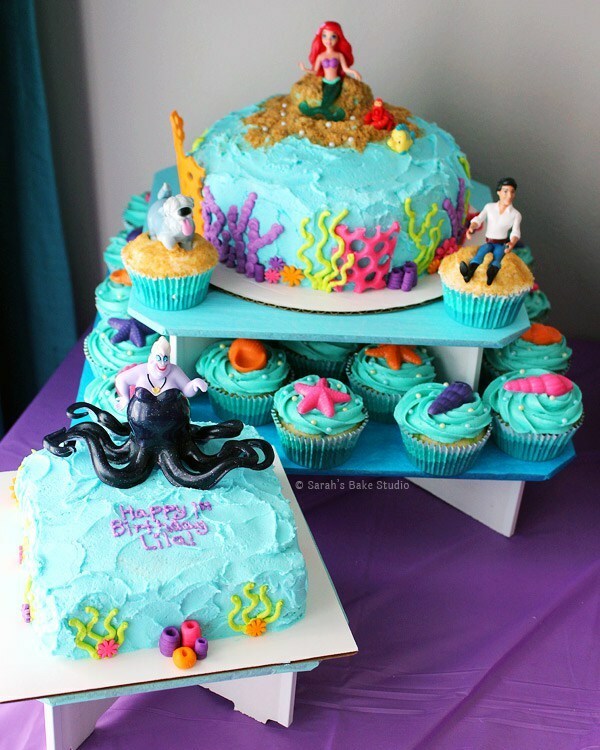 She used marshmallow fondant and Little Mermaid figurines to decorate the cake, cupcakes and smash cake. Visit Sarah here for details on how she made them. Thanks to Sarah for giving us permission to post her cake photo.